The leaders in innovation are back at it with a new collection of outerwear specially designed to combat and adapts to your active lifestyle during upcoming spring and summer months. The Nike Sportswear collection has grown tremendously over the years by introducing some the newest materials and styles across all sports to help aid in performance for athletes. Today, Nike pushed the boundaries even further with the unveiling of the Nike Tech Pack: Tech Hyperfuse Collection. 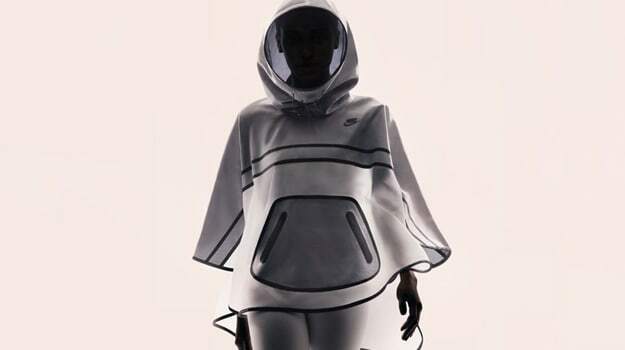 Using the proven Hyperfuse technology, originally used as layered construction on sneakers blending durability, breathability and lightweight support, Nike has now stripped down the layers and incorporated the tech into clothing. The collection includes a windrunner, vest, and poncho, using fused layered materials to decrease weight, therefore increasing breathability and fit. The Tech Hyperfuse pack was built from the inside out using taped and bonded ripstop materials which were specially designed to allow more air flow and ventilation for the warmer months ahead. Nike also crafted colorful, and lightweight garmets for the collection to make layering easy, to athletes can feel as comfortable as possible. The Nike Tech Pack: Tech Hyperfuse collection is currently available online at Nike.com, and will hit select Nike Sportswear retailers beginning May 1. Check out the gallery, and let us know what you think of Nike&apos;s latest innovation, and if you plan on grabbing any of the collection @SneakerReport.